How these uplift my soul. *They remind me of real life. *They remind me Hope is always in front of me. My part is to lift my eyes & fix my gaze on Hope. Hope is not an ethereal fantasy concocted by the artsy fartsy philosophical, but found in a Living, Breathing Person. My Hope lives amongst us, within us, wherever we go, whatever we encounter. My Hope may seem to be quiet, but His voice will be heard when we learn to discern it despite the noise. My Hope may appear to be invisible, but He can be sensed when we learn to look with heaven’s sight despite our surroundings. The best way to ensure you know where your Hope is at all times, as David learned all those years ago? Keep looking to see Him. Keep listening to hear Him. Keep believing in faith He is with you. Keep your hope alive by putting your trust in your forever Hope. PS. 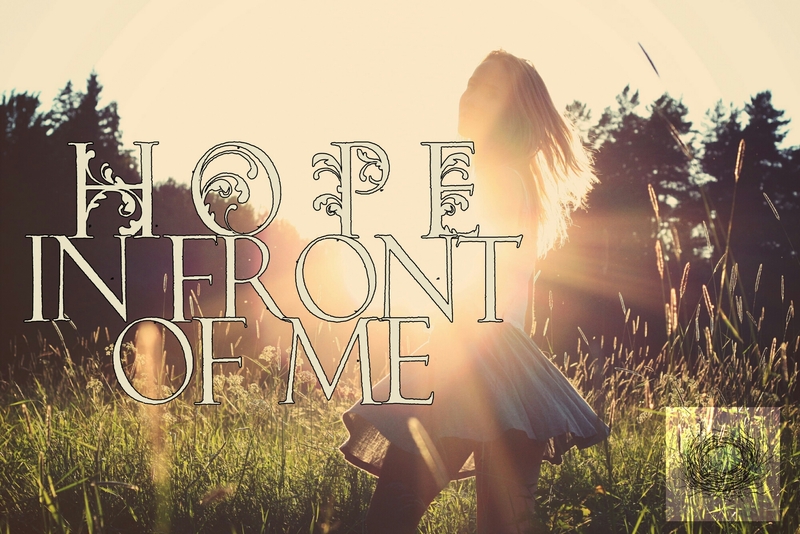 If you need a pickmeup to help lift your spirit today, check out Danny Gokey‘s honest song “Hope in Front of Me.” It is one of my go-to songs to sing & proclaim back to my Hope on the days where I don’t see Him as clearly.